A WordPress build encompassing a custom WordPress theme and heavily tailored WooCommerce integration, with bespoke CSV data import, custom memberships, and admin alerts.This site is an intranet system for London based housing association Optivo (previously Viridian Housing). 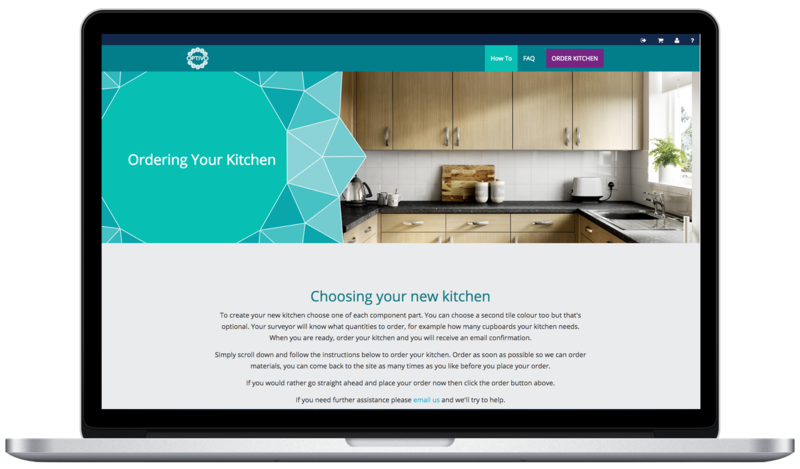 They wanted to use WordPress to build a proof of concept for allowing their users to select the kitchen installations for their houses. This needed to function as a shopping cart style arrangement, but without many of the traditional e-commerce features of an online store. The solution was to customise WooCommerce and the Composite Products plugin to fulfil their needs. With the addition of many custom features such as an import of clients from their internal database, managing surveyors’ and booking installations.